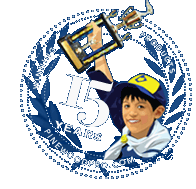 Pinewood Pro is proud to have helped manage pinewood derby car races, volunteered at pinewood derby races, donated to needy scouts, Cub Scout Packs and Boy Scouts every year since we started Pinewood Pro in 1999. As a former Cub Scout and father of a Boy Scout (that's my son as a Cub Scout in the upper right after winning a Pinewood Derby race), we believe very strongly in the values of scouting and helping by giving back to Scouting and pinewood derby car racing. Pinewood Derby racing was always special to me as a young cub scout (even though I never won a single race - see About Pinewood Pro). It became even more special as I got to live it over again with my son (who won just about EVERY derby race!). When I started giving away our Winning Secrets (after my son moved to the boy scouts!) and finally selling our Winning Secrets book, I made a promise to contribute to Scouting as long as I owned Pinewood Pro. I do not believe in flashing my contributions in front of people but I thought it was important to state our goals and show how Pinewood Pro stands for helping people, not only through our top-notch products but through volunteering and donating back to scouting. While my bias is naturally toward BSA scouting, where my son has worked up through Cub Scouts to an aspiring Eagle Scout in Troop 65, I have made many "Pinewood Derby" friends in AWANA Grand Prix, Girl Scouts Grand Prix, WIRL, Kub Kar Rally and others. - for the families of the four men killed at the BSA National Jamboree July 28, 2005.